Taking Screenshot of your Samsung Android Mobile is very simple. You dont have to install any type of Application. 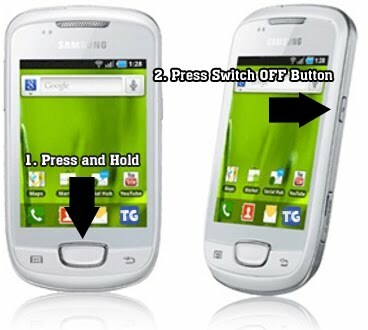 All you have to do is Press and hold the Center Button(Home Button) and Press the Switch Off Button. You will hear a click sound when the screen is captured. You can check the captured Images in Gallery. Screenshots can be taken even when screen is locked.